Two spectacular nights of fireworks will be held at Lone Star Park on Tuesday, July 3 and Wednesday, July 4 following the races. 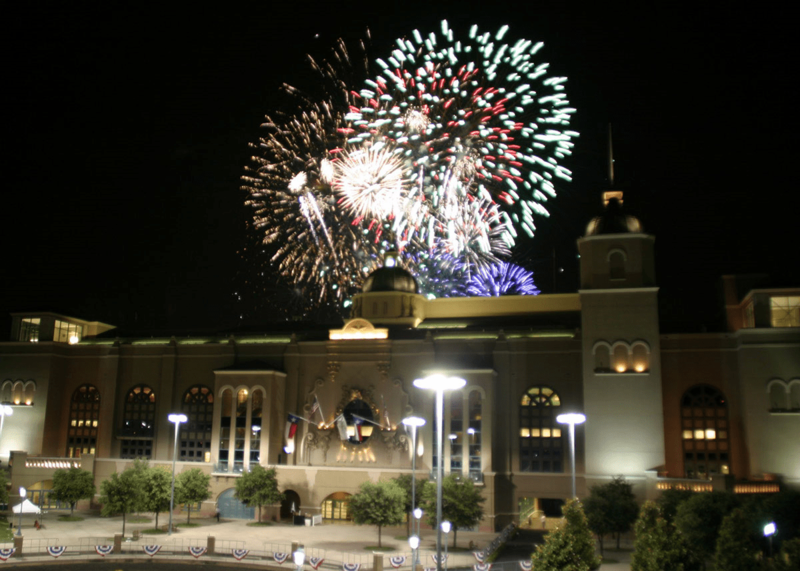 In addition to live racing and fireworks, enjoy entertainment for the entire family with live music from Vegas Stars. Visit the expanded Family Fun Park, which includes bounce houses, face painters, tattoo artists, pony rides, a petting zoo and much more from 3 p.m. to 9 p.m.
After the races conclude, stick around to enjoy a world class fireworks show choreographed to music. In addition, all members of the military will receive one (1) free general admission with a valid military I.D. Gates Open at 3 p.m. with the first Live Race at 5 p.m. Here are a few tips for racing track novices. The Morning Line Favorite is the horse with the lowest odds in the program, as selected by the morning line odds maker. The Post Time Favorite is the horse with the lowest odds determined by the betting public. The Favorite wins 41% of the time at Lone Star Park (34% Nationally). The Favorite places (finishing 1st or 2nd) 63% of the time at Lone Star Park (54% Nationally). The Favorite shows (finishing 1st, 2nd or 3rd) 75% of the time at Lone Star Park (67% Nationally). If you need additional help in figuring out how to bet on a horse, novices are invited to visit the Playing the Ponies 101 center, located on the first floor at Lone Star Park. Learn how to read a program, wager on the horses, or even what horse to bet. Lone Star Park’s Racing Ambassadors are eager to help you. Tickets for the 2018 Thoroughbred season range from $5 to $27. Children under three years of age are free. Restrictions, exclusions and additional charges may apply. Children under 18 years of age must be accompanied by a parent. Discounted advance parking is available for only $10 when you purchase advance tickets by phone at 800-795-RACE (7223) or in person on live race days at the Ticket Upgrade Counter, located on the first level of the Grandstand. To learn more, visit LoneStarPark.com or call (800) 795-RACE (7223). Lone Star Park is located at 1000 Lone Star Parkway, Grand Prairie, Texas 75050.